Just some random bugs that I’ve noticed while playing. 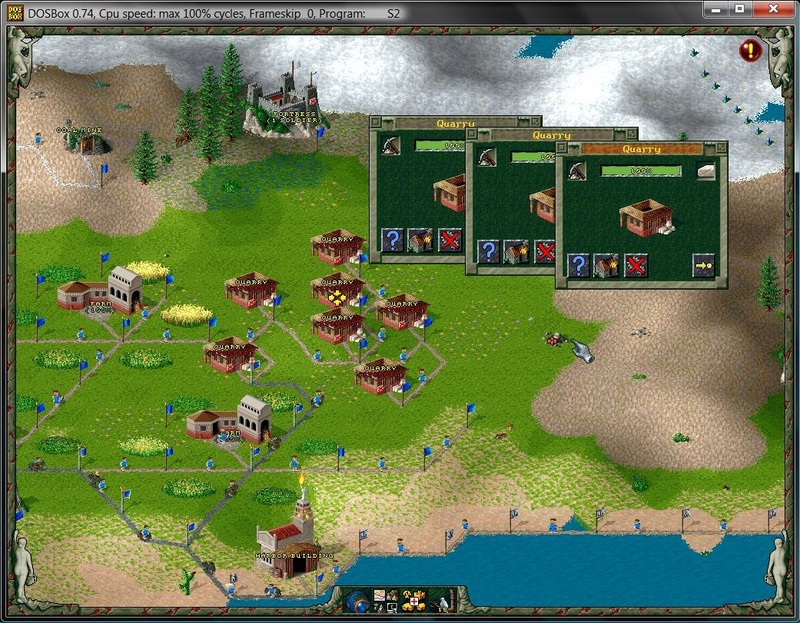 You can control the number of soldiers that you have in all of your military buildings. If you don’t have enough soldiers and you set the setting to maximum and then back to minimum the game will keep on moving soldiers back and forth until each building has been visited by the requested number of soldiers. Ie. if you have only one extra soldier it will keep moving back’n’forth between a military building and your Headquarters until it has visited every military building as many times as there are missing slots. If you pause the game and load a game the pause will remain in effect, except that the game will play. You just can’t control it and the screen is dark. You can do this multiple times until you can’t really make any sense of what you see on the screen. 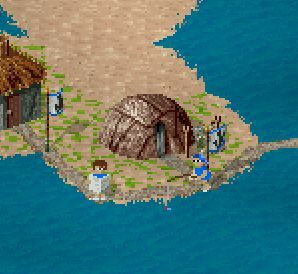 Sometimes the game allows more soldiers to go into a military building than it has slots for soldiers. Soldiers can get stuck facing each other when they’ve been on an attack mission. Fisher and stonemason won’t give a notice that there is no more accessible fish/stone if the site where there still is a resource is blocked by terrain (ie. swamp) or indestructible object (pine tree, or a tree that was falling when woodcutter’s hut was destroyed). 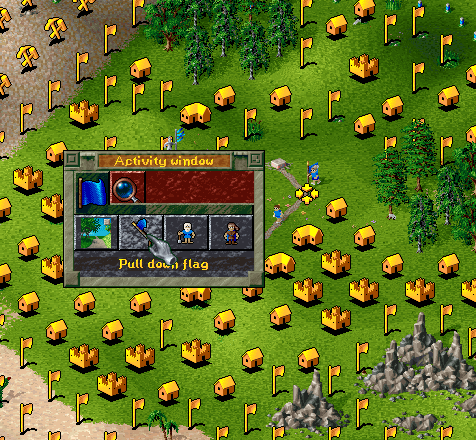 FYI: Settlers II.net Map Generator has been written so that these conditions won’t happen! Have you noticed any interesting bugs? We can’t really get any fixes these anymore, but knowing about these bugs may be nice-to-know information when implementing similar game mechanics in other games (such as Return to the Roots, Widelands and maybe other future projects). One thing I’ve noticed while playing GoG.com version of the game is that I don’t really have crashes with it. Or maybe the maps generated by Map Generator avoid bugs in the game? I haven’t really played any other maps recently. I’ve noticed some of these bugs too. When the soldiers get stuck facing each other, you can destroy the military building which they come from and they will come back. However if the soldiers were conquering enemy headquarters which was destroyed then they will get stuck forever if they get stuck. I remembered another bug. When you play S2 gold edition, most specifically a map with ships enabled, at some time the ships keep travelling from one port to another, carrying a geologist,if I’m not mistaken. 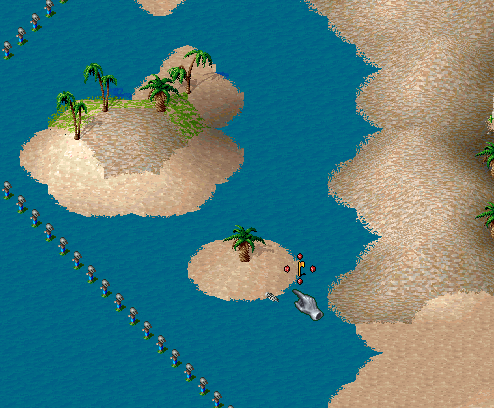 Another bug: if you build a fishery near the edge of the sea, i.e., the flag would be on the edge, the fisher would drop the fish and come back to a warehouse. I used RTTR to the screenshot, but this bug happens on S2 Gold Edition. Sometimes when building storehouses and storing out boats in your HQ, the next storehouse has sometimes ~32,000 boats in stock. Same also happens sometimes with the carrier statistics. Sometimes you just have like 65000 carriers – suddenly. how to modify the original ones (with what tool/programme) ? -i’ve got too much boats but noone transfer it on my island where im in need of it. the best solution is to create pic axes on the island. the ships in the game are really bugy (each ship works like it is the only ship in the game, if you have more than two ports – it is impossible to mange). Do you have beer? Recruiting a soldier requires a beer, a sword and a shield. if you load a game with exploration from a game without exploration – you will see the whole map. 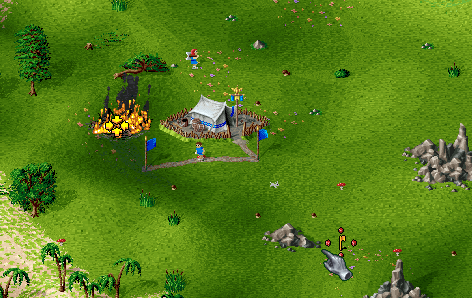 if you put a military building on fire when an enemy waiting for a soldier to go out from it – the attacking soldier will stay “freezed” forever, the computer may try build a path or a building on it and it all teritory will freeze. you can make two of your own soldiers to fight with one another. 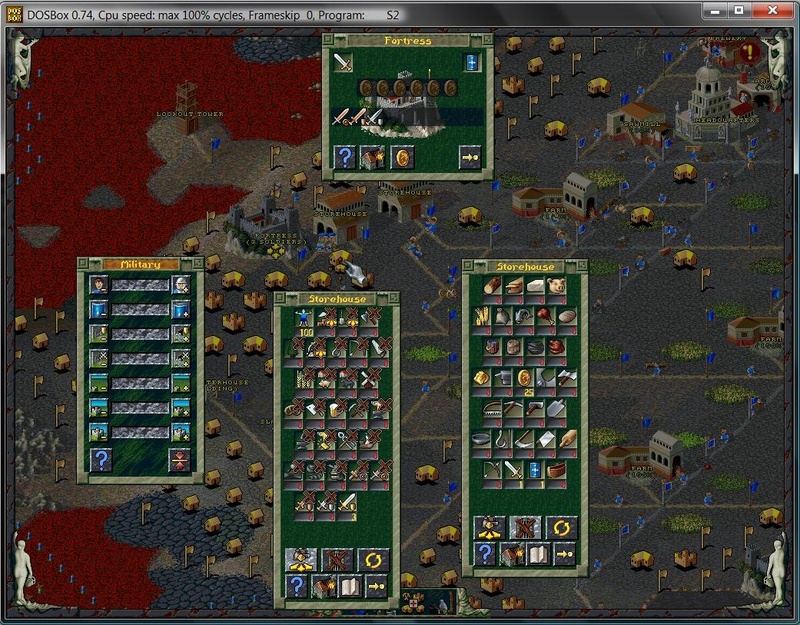 If you have too large empire, settlers (mostly helpers and builders, but a lot generals taking a nap in my storages too, while the border fortresses are nearly empty…) just don’t go to their place. And stuff just stop at some flags, when it’s full, because there are nobody to transfer it further. 2) You can burn woodcutter just when he cut down tree and hasn’t picked log yet. You have little time (you can also pause game) but when You do it, the fallen tree will lay down and You won’t have any possibility to pick it up. 3) There is little cheat I’ve thought about, checked and improved, you can do 100 generals with only 104 gold coins. 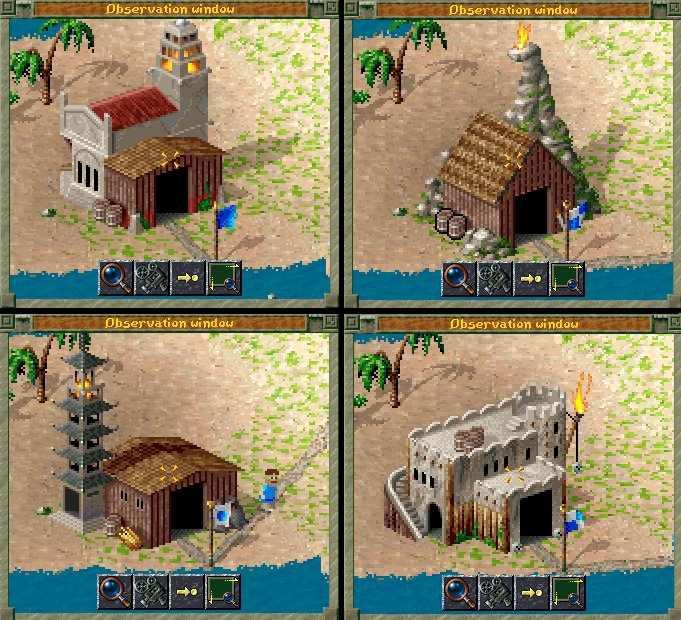 Key is to create Castle and 2 storages – 1st one only for privat soliders, and gold coins, 2nd storage only for generals. Split all roads. Connect 1st storage with castle, send all private soliders into castle then send 9 gold coins. You will have 6 generals, and 3 better soliders than privates. Destroy road to 1st stoarage, build road to the second storage, minimalise military board so that all generals will go back to the second storage and castle will be left with 3 non-generals-nor-privates. Destroy road, to second storage, maximalize military board, build road to first storage – Castle will be filled with 6 privates and send 6 gold coins. Repeating this process will give You 1 general from 1 gold coin now on. 5) Image for Hammer tool created by metalworker looks same as Pickaxe. 6) Bombarding enemy’s military buildings with Stones won’t start a war. 7) You can change some ground level with little planer’s help (he will elevate +with-, also destroy +levels. Sometimes it can allow building castles in places not availble before. 9) When there is tiny passage through water like road-crossable-water it means that people will walk through it to the building. But when you burn this building, it doesn’t mean this person/worker will find way back to storehouse and he will die on the other side of the land.